Nice looking pizza, right? Wrong. 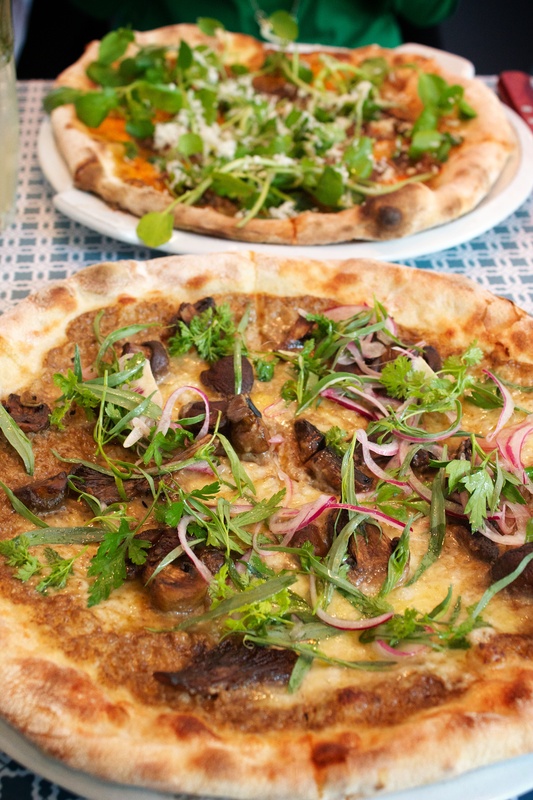 It’s a flat(bread), at least according to Jamie Oliver’s newest restaurant Union Jacks. Naming aside, it was a particularly good pizza with nice strong cheese (no mozzarella), and very tasty toppings. The starters were also very good, in particular the roasted beetroot and curd. Also recommended is the home-made dandelion and burdock. I live in Chiswick and have been meaning to check this out. Loving the blog! Thanks! I can’t speak for any of the other branches, but I enjoyed the Chiswick one, and the staff were very nice too. If you’re in the mood for pizza then definitely give it a try.